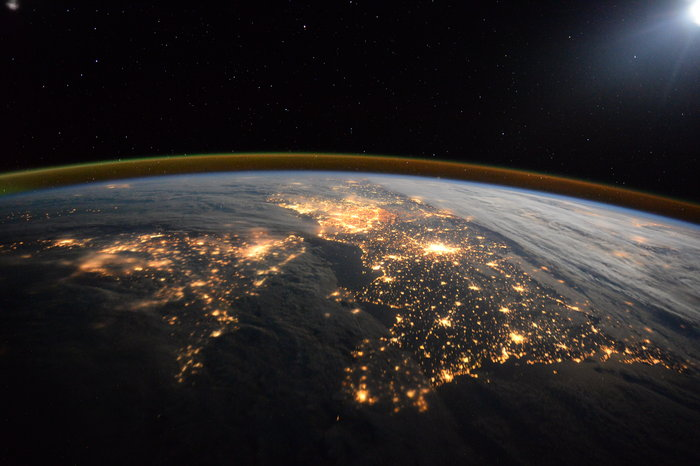 Image Cache: British astronaut Time Peake must be missing home a little, because he's been taking some incredible images of the UK and northern Europe during his time aboard the International Space Station. Browse through the cool photos, animations and diagrams in Gizmodo's Image Cache here. The image above is perhaps the best so far: A picture of the United Kingdom beneath the aurora. You can see the dense lights of London in the centre of the image, and further north the sprawl of lights from cities including Birmingham, Manchester, Leeds and Liverpool. South, in France, you can see the intense light from Paris. The image below shows another view of northern Europe. This the the UK is on the left and France on the right. Don't feel too homesick, Tim!